Plays in your core. 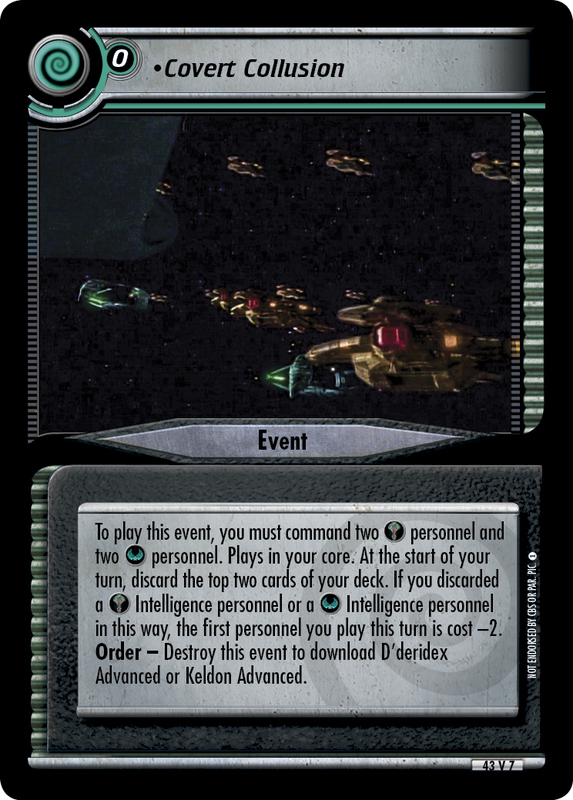 When your personnel is killed by a dilemma or in combat, you may place him or her on this event. (You no longer command him or her.) 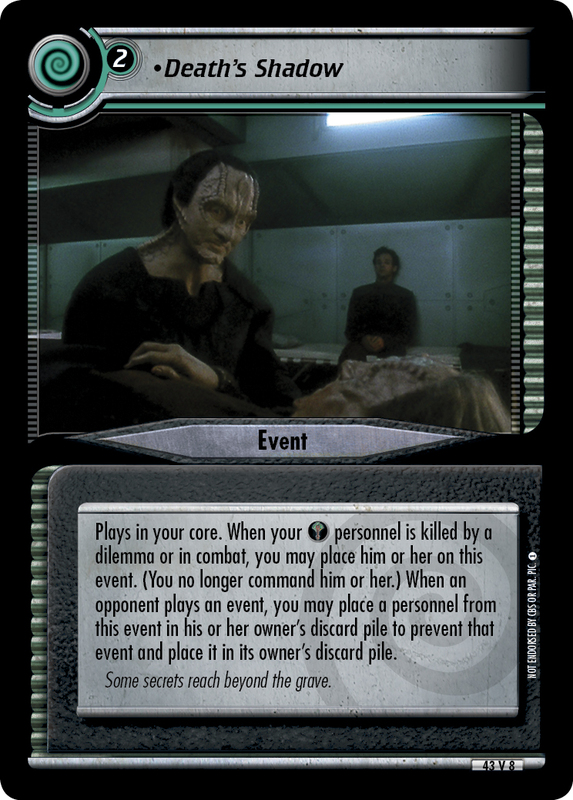 When an opponent plays an event, you may place a personnel from this event in his or her owner's discard pile to prevent that event and place it in its owner's discard pile. Some secrets reach beyond the grave. 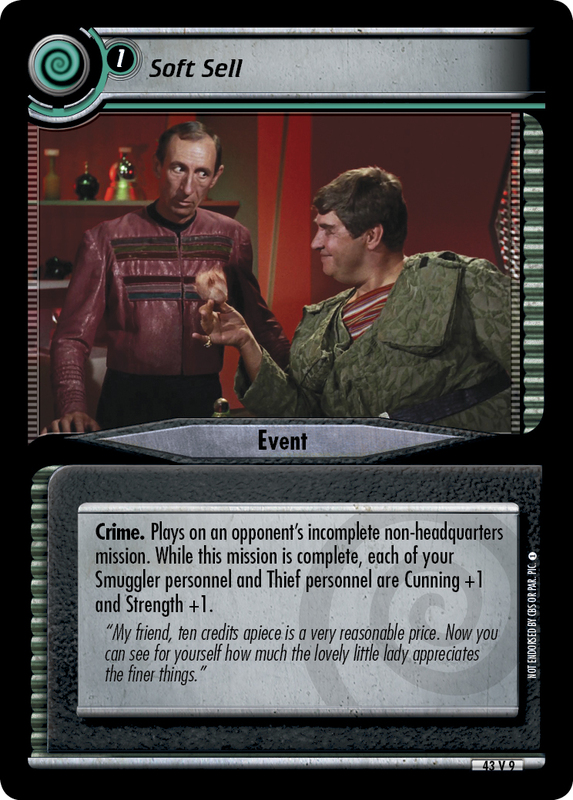 Image Source: Deep Space Nine: "In Purgatory's Shadow (Part 1)"